The Refugee Resettlement department of Catholic Charities Community Services provides assistance to refugees, asylees, SIVs, Cuban/Haitian entrants, certified victims of trafficking, and unaccompanied minors from diverse backgrounds. The department offers case management, employment-based, and educational services that help clients feel secure in their new community. To further help us with this goal, we are looking to bring on interns who are interested in engaging in our office functions while interacting one-on-one with clients to help them work towards self-sufficiency. Interns are able to work with a diverse, multicultural staff and client population, gain insights into the challenges that refugees/asylees face, provide a service to the office that is integral in the resettlement process, and learn more about non-profit programming and management. *Resettlement program-specific internships are also available for Master of Social Work(MSW) students. Contact the Volunteer Coordinator for more information. Intern hours normally take place during office hours, Monday through Friday, 9am to 5pm. Hours/shifts can be flexible according to intern's schedule and availability. Required commitment of 12+ hours per week for a minimum of three months. 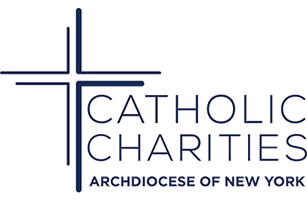 To apply, email your resume and cover letter to Therese.McCarry@archny.org with "Education & Employment Internship Application" in the subject line. Applications will be reviewed on an ongoing, rolling basis.